Xpanxion, a custom software services provider, announces Douglas Loo as its new ADA Compliance Director. 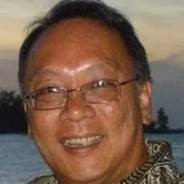 Custom software services provider, Xpanxion, has announced that Douglas Loo has been named ADA Compliance Director for the company. Loo will be based at Xpanxion’s corporate headquarters in Atlanta, Georgia. Loo previously served as Senior Technology Advisor to the Centers for Disease Control and Prevention (CDC). Loo developed the infrastructure and the team for the CDC’s web presence in 1994, resulting in deployment of the CDC website. As the first IT accessibility and compliance coordinator for the Agency, Loo developed many of the policies, change management, and governance for the CDC. Loo’s application framework for accessible IT is still in use today, and he is called on periodically to review and train coordinators across multiple federal agencies. As an active member within the ADA industry, Loo has spoken at a variety of speaking engagements and conferences. He served as a member on the Federal Cross Agency Panel on Current Technology and Innovation with the accessibility community, the Annual International Technology and Persons with Disabilities Conference, the Technology Association of Georgia – Government IT, and the Annual CUNY Accessibility Conference. Xpanxion provides custom software services to enterprise clients in a variety of industries worldwide. Its unique Cross Sourcing model – combining onshore and offshore talent in Agile development teams – allows Xpanxion to leverage the scalability and cost-effectiveness of offshore resources while meeting the quality and communication standards expected by its clients. Headquartered in Atlanta, Xpanxion operates five rural offices in Iowa, Nebraska, Kansas, and Colorado, as well as an offshore development center in Pune, India. Xpanxion is a subsidiary of UST Global.